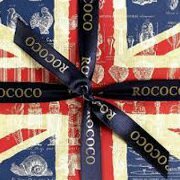 ThirtyFifty has teamed up with chocolatiers Rococo to bring chocolate and wine tasting to you in your home. We've paired a selection of Rococo chocolates with dessert wines, red wine and fizz. We think they're natural companions, with much in common, but what do you think? During the tasting you'll get the chance to find the perfect wine match for white, milk and dark chocolate! At the session you'll learn how cocoa beans are turned into chocolate and discover the different types. We'll give you tips and tricks for matching chocolate with wine as you taste them together. We can also include a fun quiz to put all this newfound knowledge to the test. As well as a pleasurable experience the combination of chocolate & wine is superb for hen parties or a girls night in. The tasting is £35 or £40 per person for a two hour session with a minimum of 10 guests. The £40 per person tasting has a Champagne and higher quality wines. Our Chocolate & Wine Tastings can be run throughout the UK in all major cities and towns or more rural locations! Just let us know the date and the postcode and we can confirm availability and any travel cost to come to you. We can come to your home, workplace or to a venue such as a restaurant or hotel. To find out about booking and to check availability please contact us on 020 8288 0314 or email us. If possible, please provide us with potential dates for the event and a postcode for your location. I was very happy with your wine/chocolate tasting session and thoroughly enjoyed the pairings, interesting information, quiz and of course the wine and chocolate itself. My friends thoroughly enjoyed the session, and I would have absolutely no hesitation in recommending 30/50 to any colleagues or friends.